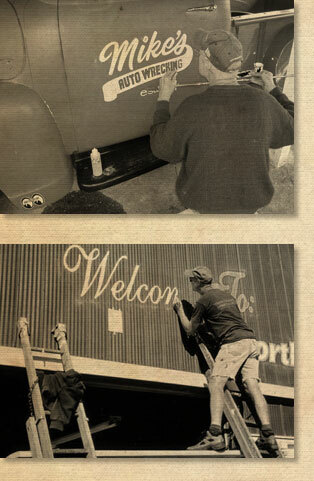 Hand-lettered signs are rare in these days of mass-produced sign products. I offer clients quality workmanship and attention to detail. View my portfolio section for examples of my commercial and sign art projects. © Big Top Sign Arts. All rights reserved.